Muskegon, MI (March 25, 2019) – Success doesn’t happen by accident. Whether it’s a young hunter taking his first deer, a veteran hunter arrowing her largest buck ever, or an outdoor company celebrating 40 years in business, success comes from the desire to achieve through learning and hard work. Blocker Outdoors enters its 41st year with renewed commitment to make its premium line of ScentBlocker apparel better than ever. 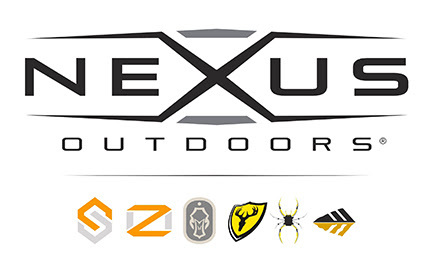 Including a diverse range of base layers, early-, mid- and late-season jackets and pants, and a complete line of caps, gloves, facemasks and headcovers, Blocker Outdoors ScentBlocker apparel now features Cold Fusion CatalystTM technology. Cold Fusion Catalyst combines the power of activated carbon and Merino wool to deliver premium odor adsorption and the unique warmth, strength and antimicrobial properties of natural wool. No matter when or where your hunt takes place, ScentBlocker has the premium apparel to elevate your performance to the next level. Available Summer of 2019! The new Adrenaline Jacket and Pant are ScentBlocker’s top-line mid-season apparel, and are the garments serious rut hunters will want to build their scent-control regimen around. Built for those moments when the heart starts racing, Adrenaline features Cold Fusion Catalyst™ — ScentBlocker’s top odor-controlling technology – combined with a 20% Merino wool fleece lining. These mid-to-late season garments are absolutely dead silent with a soft, brushed face and micro-grid interior.